Drawing Constellation is a participatory drawing installation for augmented reality (AR). 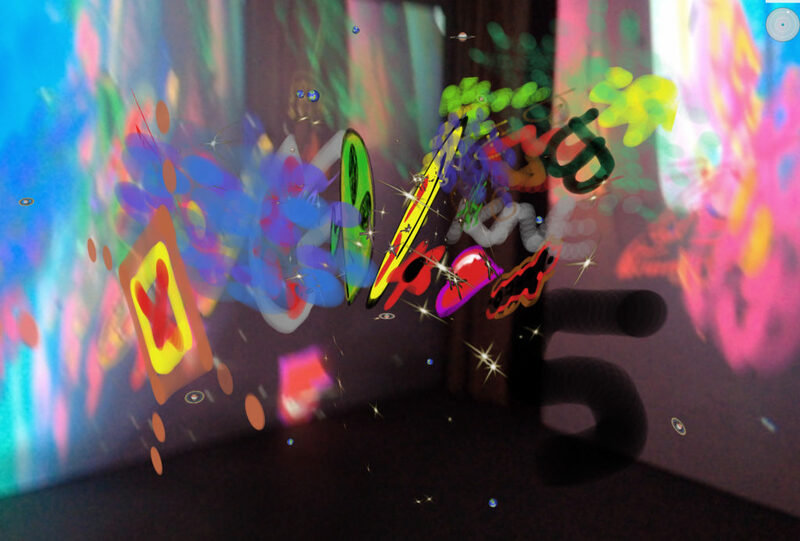 Using a modified public AR app, Layar, participants are invited to upload screen pad drawings to a constantly evolving virtual “constellation” centered within an exhibition space by GPS location. As a galaxy formation, the work suggests the presence of overlapping universes, set in motion by contemporary social media space and immersing the audience in swirling drawings. © 2019 Moving Image. All images are copyrighted by their respective authors.